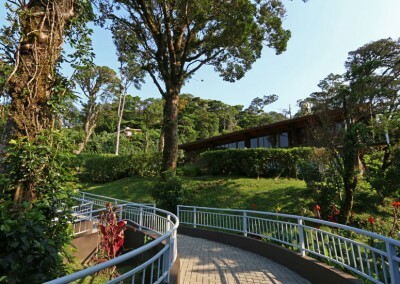 Visit the unique and beautiful cloudforests of Costa Rica. Straddling the spine that is Costa Rica’s continental divide, Monteverde and the surrounding area is a whole world away from the coastal towns. 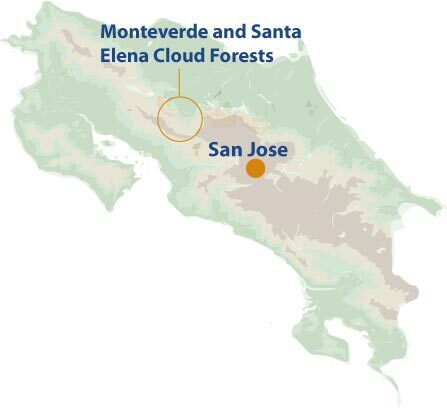 Here the draw is the unique ecosystems that are cloud forests. Cooler than rainforests and higher in altitude they are a haven for over 2500 species of plants including some rare and beautiful orchids. A nature lover’s dream. 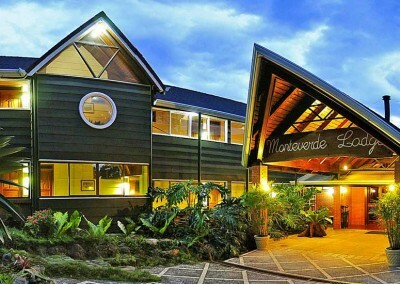 Monteverde itself has strong Quaker connections. In the early 50’s several farming families from the USA settled here and they have been actively involved in the conservation of this unique, beautiful and biodiverse area ever since. 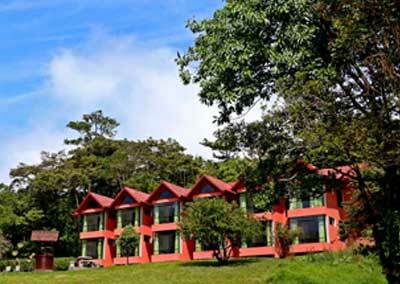 Most visitors come to this area to visit the cloud forests and experience their mystical atmosphere and the varied life which they sustain. Created by warm winds from the Caribbean that sweep up the forested slopes where they cool, then condensation forms the misty, dripping clouds which give the forests their name. Many species of orchid thrive in the cloud forests with an estimated 500 different varieties found here along with 2500 different plants, some rare and endemic to the area. Helping to pollinate the orchids are about 30 species of hummingbird who, along with the resplendent quetzal, make up some of the 400 different bird species that call the cloudforest home. 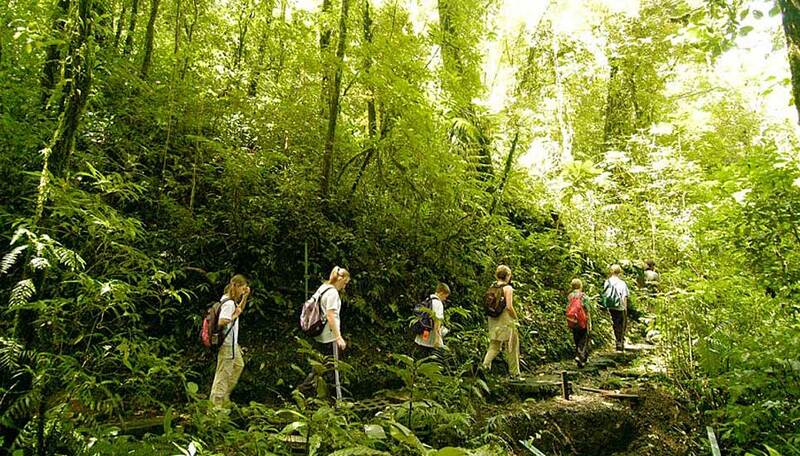 Monteverde Cloud Forest is stunning but don’t overlook the quieter, less visited Santa Elena. 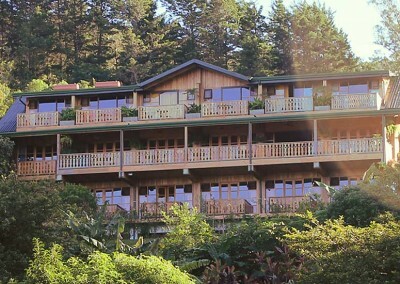 This cloudforest has 13 kilometres of hiking trails and is the perfect place for those of you wanting to take in the area and soak up the sights and sounds of the forest in a more secluded setting. Cloud forests can be muddy year round, with condensation often dripping from the foliage so make sure you bring walking boots and a light raincoat so you can explore in comfort. 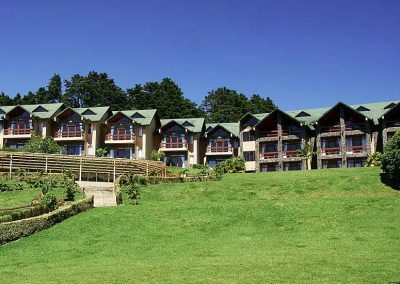 Further down the slopes, the villages of Santa Elena and Monteverde and their surrounds offer a host of activities to keep any discerning traveller interested. There is a lot on offer from butterflies to frogs and chocolate to cheese. Zip-line – Traverse the tree canopy in Monteverde or Santa Elena, a different way and experience the forest from a new angle. Santa Elena is home to the first ever Costa Rican zip line – now eclipsed by higher and faster versions in other locations, it is still a wonderful experience. 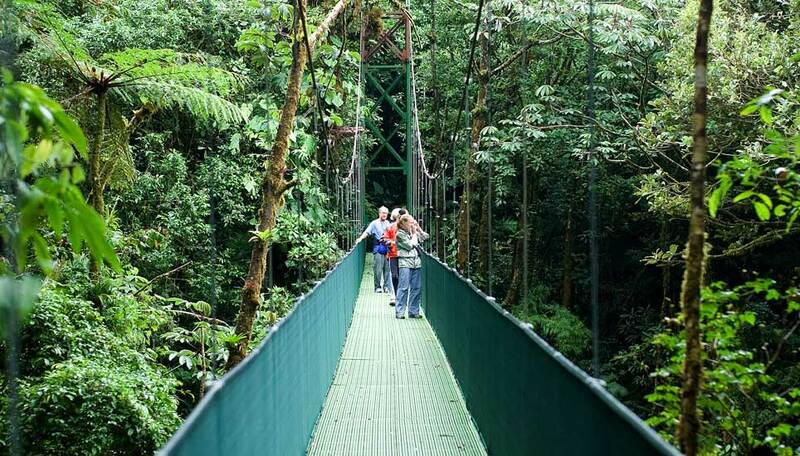 Suspended walkways – Hike the network of hanging walkways in Monteverde and see how many different species of bird and butterfly you can spot. Sky Tram – Hop on the Monteverde cable car that skims the canopy in the cloud forest. The views are magnificent, you can even see over to the Pacific Ocean. Music Festival – If you are in this area in February/March get your groove on at the Monteverde music festival. Costa Ricans love their music, this festival is predominantly jazz, classical and latin in flavour and well worth a visit if you are in the area. 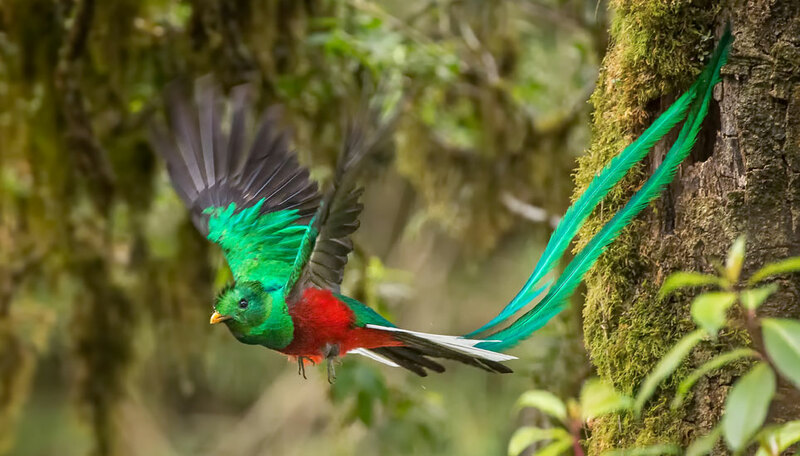 Quetzal spotting – Search the treetops and seek out this beautiful, exotic bird. If any bird could sum up Costa Rica, it’s this one. Chocolate – Learn how the humble cocao pod can be transformed into the gastronomic heaven that is chocolate, try your hand at making truffles, and of course sample some produce as you go along. 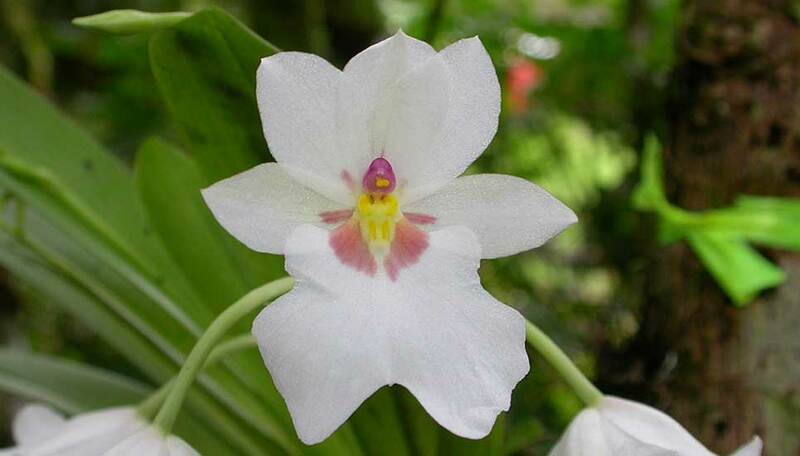 Orchid gardens – Just outside the reserve in Santa Elena village are the orchid gardens. Experience the perfume of over 400 types of orchid here as you wander at your own pace along the shady trails. While you’re here pick up some top tips on how to care for your orchids at home. Butterfly garden – On the outskirts of Santa Elena is butterfly heaven with four gardens split into different habitats, home to over 40 species of exquisite butterfly. Cheese Factory – Take a cheese tour and sample Monte Rico, the local cheese. The Monteverde region is accessible all year round though towards the start of the green season the temperatures can be quite cool. As the name suggests, this is cloudforest, precipitation is ever present so don’t expect it to be dry. Pathways can often be muddy so don’t forget your walking boots. There are several good accommodation options in this area, each with their own personality and feel.